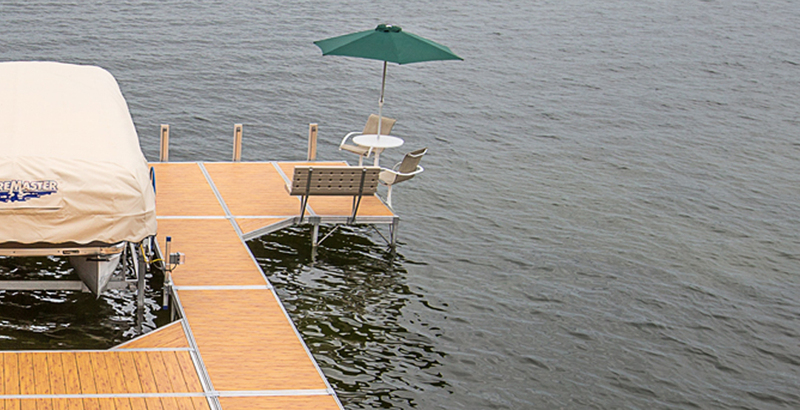 A well-designed dock looks beautiful and performs effortlessly. 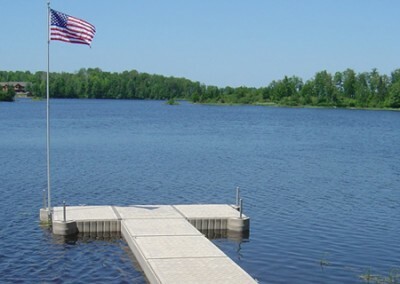 From relaxation to protection you’ll find all the accessories you need to put the final touches on your dock system. 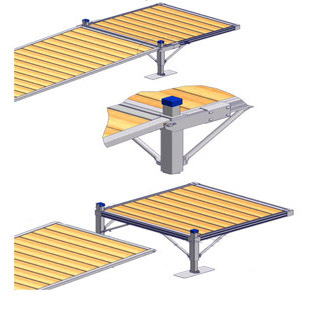 The QuickConnect™ line of accessories allows you to add, remove or reconfigure your dock accessories at any time without a single tool. 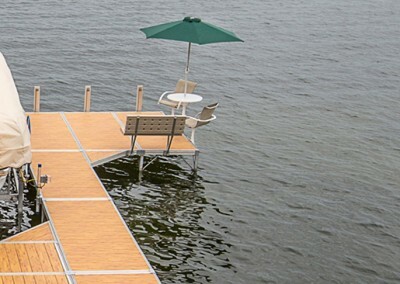 Dock Furniture is easy to add, remove and adjust for a beautiful look and relaxing atmosphere. Dock Bench – ShoreMaster’s tan Lakeview dock benches add comfort and style to your dock. 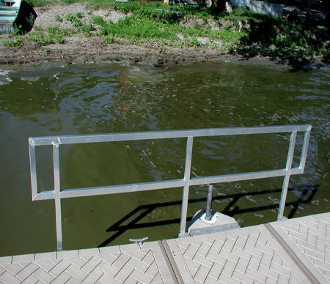 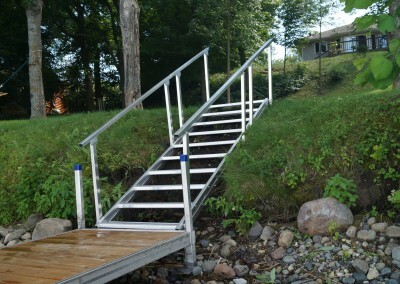 Dock Steps include side handrails and are mounted anywhere along the dock system with QuickConnect™ accessory brackets. Enjoy convenient and safe access between your dock and the water. 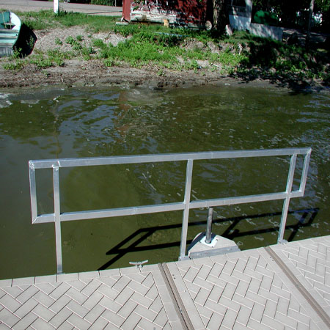 Dock Bumper – Protect your boat or pontoon’s value with dock bumpers that can be rotated to fit vertically or horizontally on your dock and feature our QuickConnectTM system. 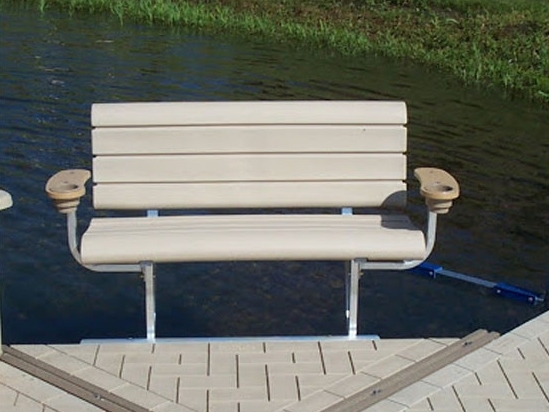 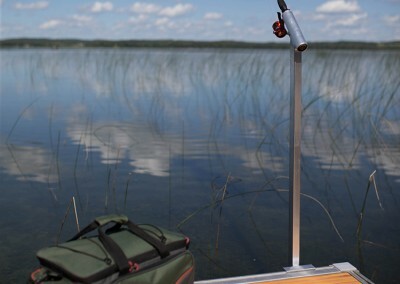 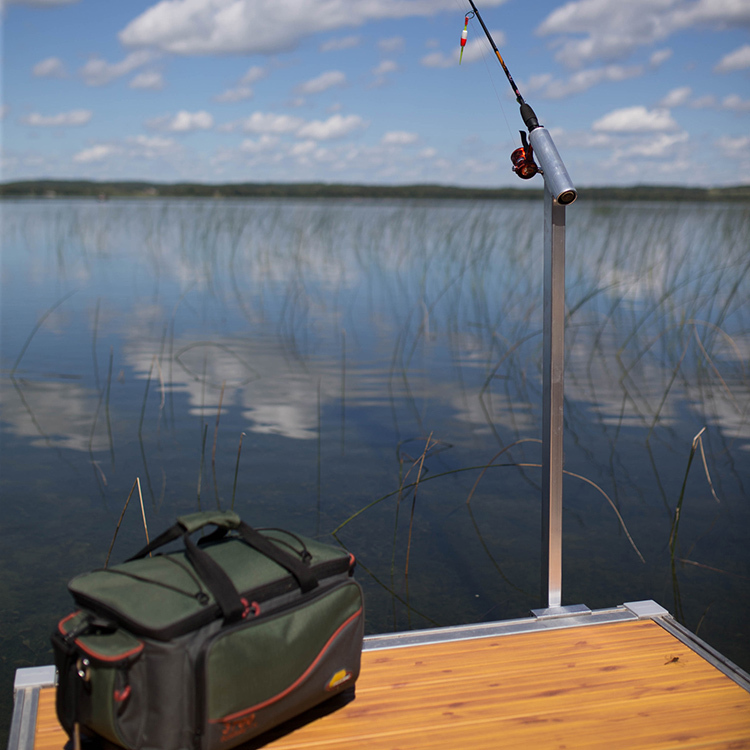 Fishing Rod Holder lets you relax on your dock and catch tonight’s dinner. 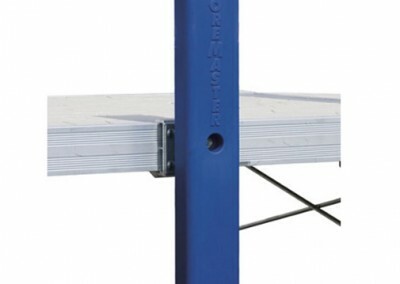 The QuickConnect system is drill-free so you can move it anywhere on your dock. 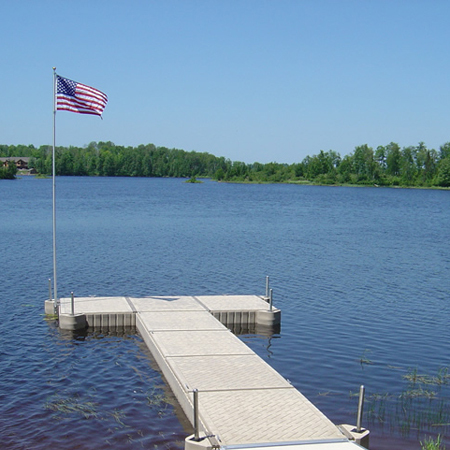 Flagpole Holder – Show your pride with flagpoles from ShoreMaster. 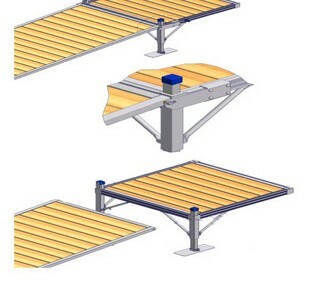 Holders are attached with the exclusive QuickConnect™ system. 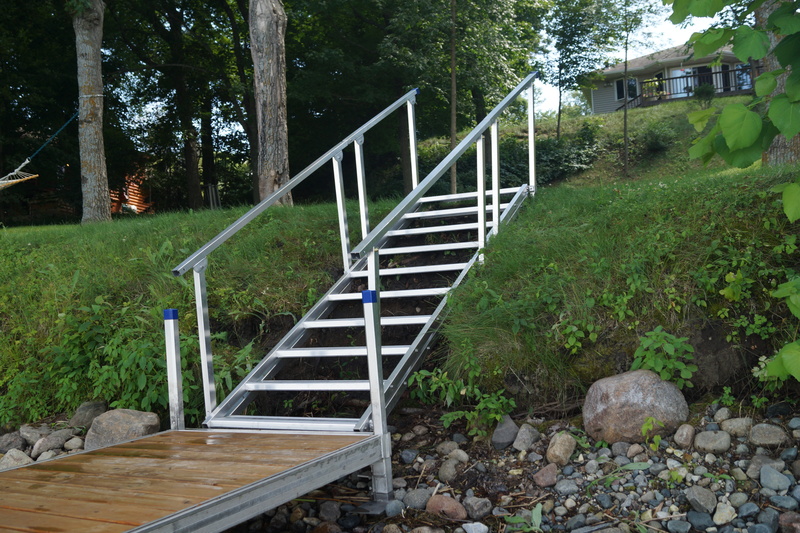 Handrail quickly connects to any of our Infinity Series dock systems. 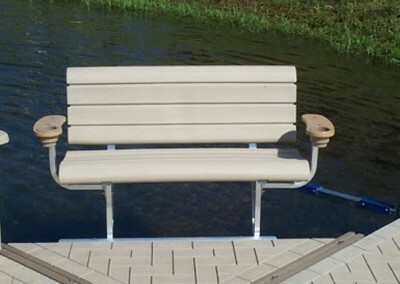 It’s the perfect fit for safety-conscious owners. 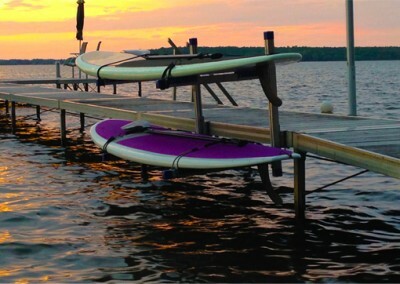 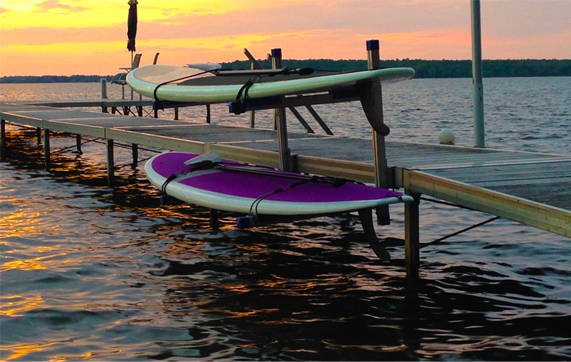 Paddleboard/ Canoe/ Kayak Rack – Store your paddleboard, kayak or canoe off of your dock with an accessory bracket that attaches to the outside perimeter of your dock at any location. 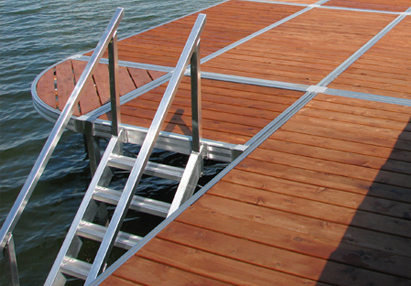 Pivot Ladder – Get in and out of the water easily with ShoreMaster’s QC Pivot Ladders. 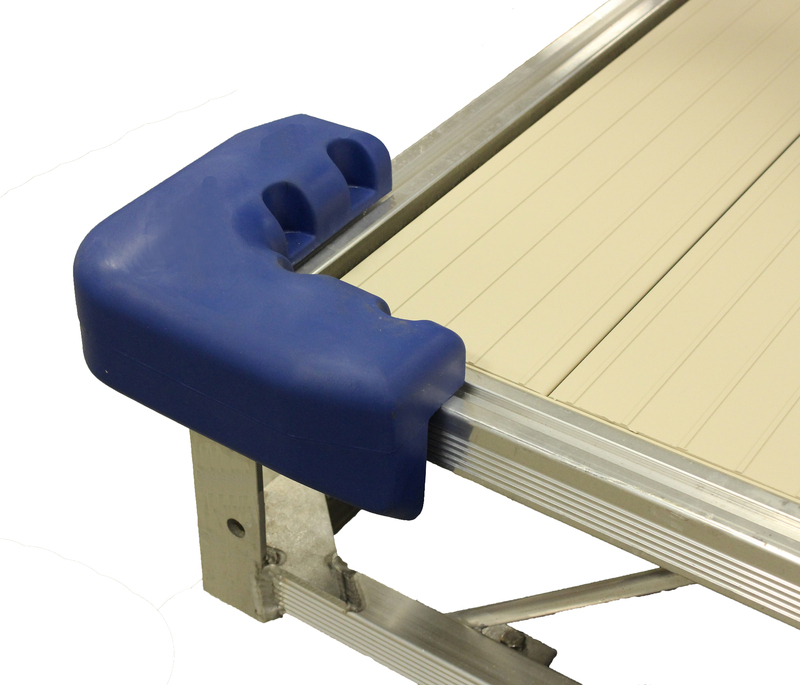 A vertical pivoting action and locking pin allows you to flip the ladder up when you’re not using it, making it ideal for swimmers. 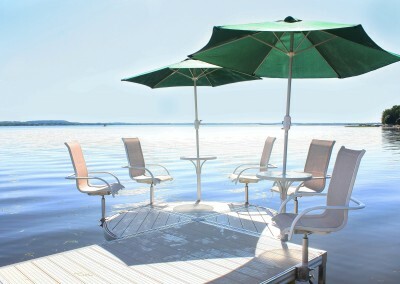 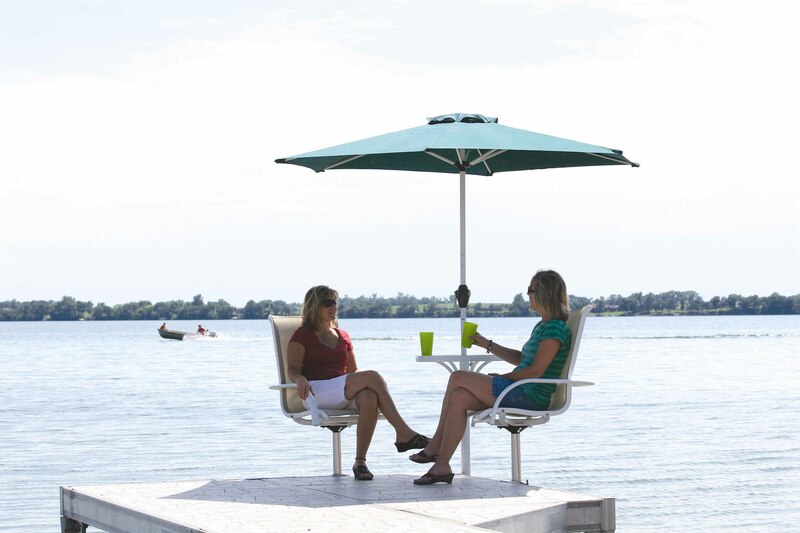 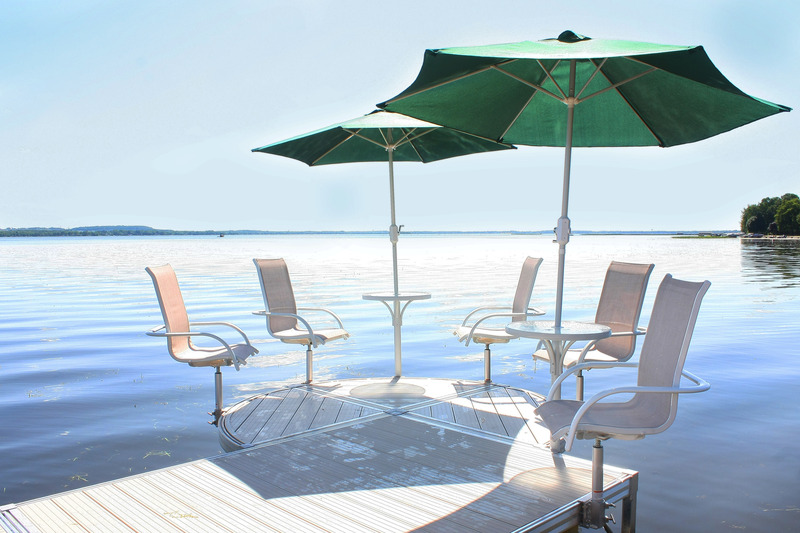 Umbrella Holder – Utilizing the ShoreMaster QuickConnect™ accessory attachment system the QC Umbrella Holder helps to provide comfortable shade for a relaxing afternoon at the lake. 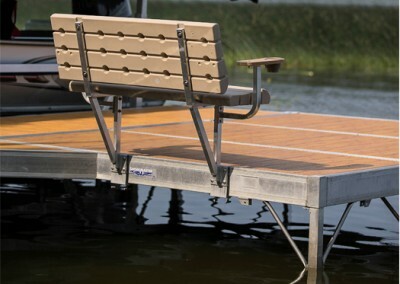 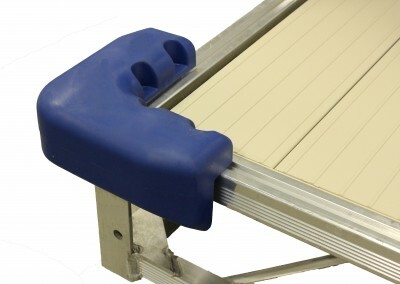 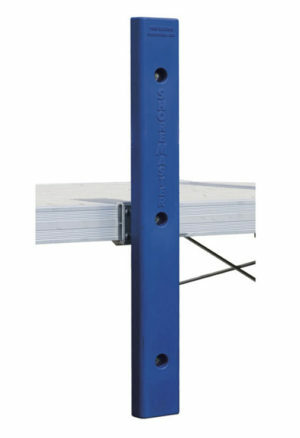 QC Ramps – With QuickConnect™ accessory brackets, ramps can be attached to a dock frame with no drilling involved. 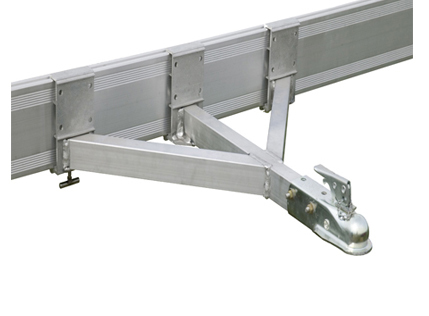 QC Tow Hitch – Tow your wheel-in style dock with the QuickConnect™ hitch.